Evergreens are frequently found in many different landscapes. Many people plant them from an early stage and take the extra time and meticulous care to help the mature. The emerald-green needles sprouting from the bottom all the way to the tippy-top can offer a sense of pride as the evergreen adds charm and even a bit of privacy all year long. However, a common occurrence is seeing the older bottom branches become a target for disease and insects. Not only is seeing an evergreen tree unsightly as it turns brown from the bottom up, you will likely want to know the cause and if the spruce or pine is dying and can be saved or not. 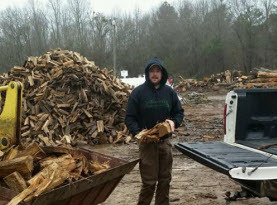 Below, we at Milam’s Tree Service have listed a few of the more common reasons as to why this may be happening. Evergreens may have trouble getting enough water to all their needles when they experience drought-like conditions. The bottom needles die to help hydrate the rest of the tree as a result. With an easy fix, you should be able to save the tree if this is a problem. Look and feel the soils surrounding the tree’s trunk, if it is dry, be sure to give it more water, a little more frequently until the effects and apply some mulch to help retain moisture. A few common pests and diseases are attracted to evergreens. There is the pine beetle that attacks trees from the inside out, which is actually very common. Leaving bulges on branches while seeping sap from the trunk, a fairly common disease for evergreens is the cytospora canker disease. Check the evergreen’s branches for signs of a pest infestation, such as small holes and sawdust. Look for anything from large cankers leaking white sap to needle death on inner branches, for signs of disease on your pine or spruce. 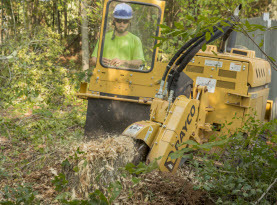 If you see these symptoms, contact a professional determine if the tree is savable and if it is, they will have answers to revive the tree help get it removed before the issue spreads or to avid safety hazards. As part of their growing cycle, evergreens naturally wean out older needles. Additionally, lower needles get blocked from sunlight and may die off as the higher needles branch out. Trees will want to prioritize the needles that can get sunlight to complete photosynthesis, being that they a finite amount of energy. Your tree is in good shape and you do not need to worry if after you ensure the moisture in the soil around the tree is ideal and you do not see any evidence of disease or pest infestations. 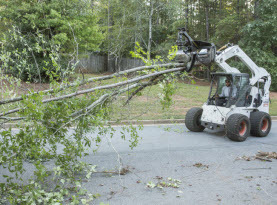 When you have concerns for your evergreens, call in the professionals of Milam’s Tree Services and we can help you with a solution for your trees. 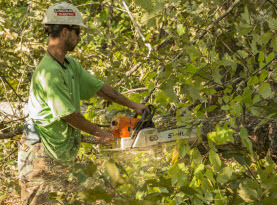 Our experts can assist with pruning, removing, and other related tree services. With our team of experienced experts and quality products, you can count on superior results.